It can be frustrating seeing your insurance bill increase year-to-year. That frustration can sometimes lead people to shop around for new insurance, but there are several good reasons why insurance premiums increase. And in most cases, your insurance bill going up each year is actually a good thing. If your premiums remained the same year-over-year your coverage would also stay the same. This presents a big problem when and if you had to file a claim on your home or business property. Unless you live in an area where the local property market has taken a nosedive, your property probably increases in value each year, even if it’s only because of inflation. Not only does your property value go up, the cost to rebuild also goes up. 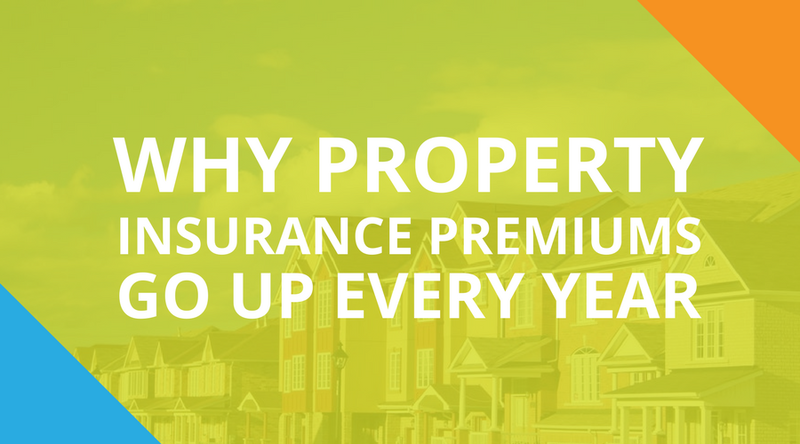 If your premiums, and in-turn, your coverage doesn't match the value of your property you may get stuck in a situation where you won’t have enough coverage to replace your property at its current value. You’d wind up with less (or less valuable) property than what you had. Oklahoma’s weather can also bump up insurance premiums. Since tornadoes and hailstorms occur yearly in the state and can cause widespread damage, insurance companies have to adjust their prices to balance out the increase in claims and account for additional risk. The Moore, OK tornado in 2013 caused over $2 billion in damage and while insurance companies and underwriters establish their policies to be able to payout for these types of events, they have to boost premiums to be able to recover and payout on future events. In some cases, insurance companies decide that they can no longer afford to insure certain properties because the risk and resulting premiums would be too high. This is the reason that flood insurance is often not available to people living in floodplains or coastal areas. In most cases, the increase in your yearly premiums can be justified by inflation and catastrophe-related losses. Before you put in the effort to contact other insurance companies and collect quotes, it may be worthwhile to consider how much the value of your property has increased during the year and if there have been any major regional events. If you’re still concerned that your premiums have gone up more than they should have, talk to your agent. They should be able to answer your questions and find out if there’s a problem causing your premiums to spike. If not, give us a call. We'll see what we can do to help.